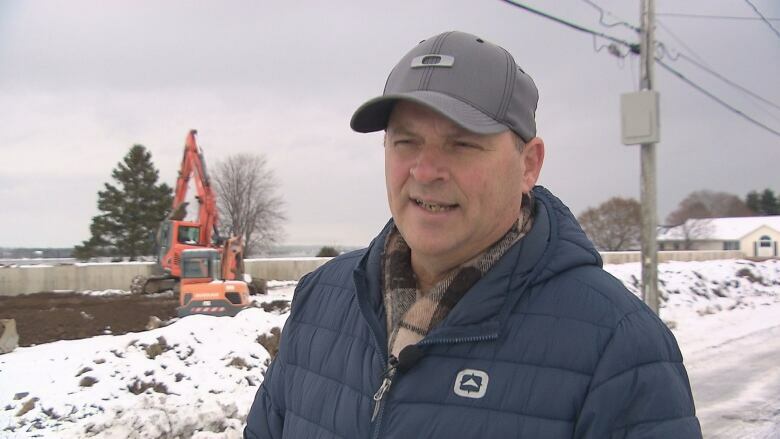 Residents of Shediac Bridge are seeking a stop-work order on construction that began on a 33-unit condo project, despite a pending legal battle. Construction began last month on a controversial $8 million condo project in Shediac Bridge, despite a legal battle between the developers and residents of Indian Point, who say the project violates a decades-old covenant. Residents are now seeking an injunction to stop the work, and the matter will be heard in Moncton court on Dec. 19. 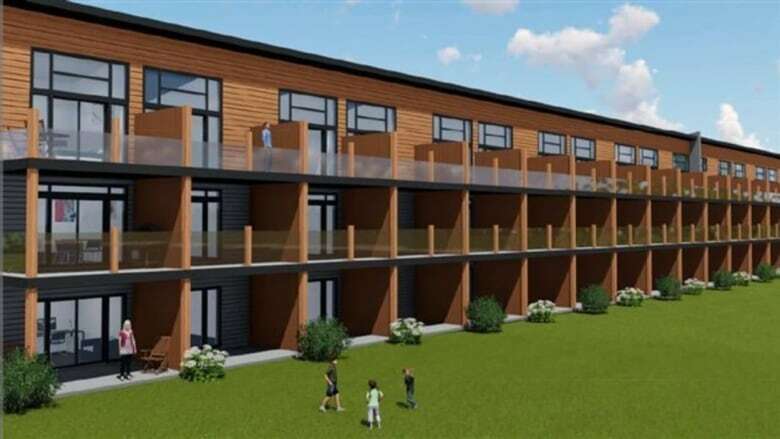 The project is for a 33-unit, three-storey waterfront condo building bordering Route 134, right before the bridge at the mouth of the Shediac River. "I just think that it's arrogant to start a project when there's legal action," said Indian Point resident Luc LeBlanc. "It just shows bad faith, on the part of the developer. He has no regard for the court, or for law-abiding citizens." The project, Seagull Condo Resort, started making waves last year, after the developer registered an environmental impact assessment in September, which the province then approved in May. A lawsuit was launched by Marc Girouard, who lives across the street on Indian Point Road. Girouard's grandfather used to own the land where the condos are being built. He sold that land in 1964 to the Seagull motel, with a covenant on the deed that no future development would be higher than 3.35 metres. That clause survived through four land sales but disappeared in 2011, the legality of which is being challenged in court. "I don't know how that got away, how they were able to neglect that clause, but they did," said LeBlanc, explaining that according to the initial contract, only one of the Girourads would have been able to annul the clause. It was businessman Stephen Gallant who owned the land in 2011. The current developer, Philip Couture of CG Group, bought it from him in 2016, with the covenant already having been removed. The condo building would be more than nine metres high. Marc Girouard's sister, Rebecca Girouard Caissie, has lived on Indian Point Road her entire life and enjoyed the waterfront. 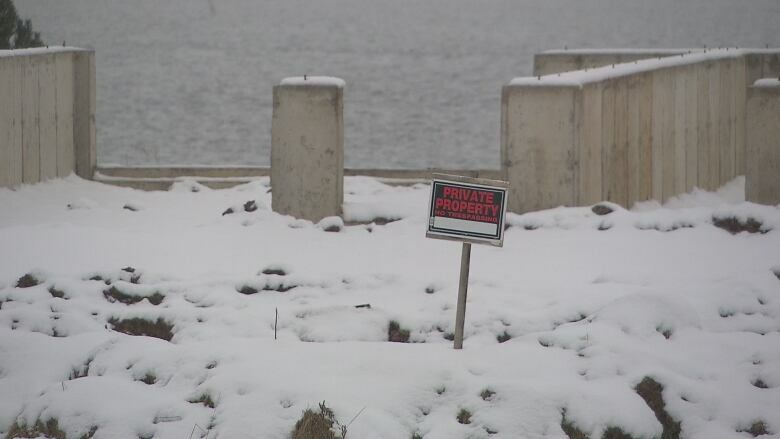 But already this past summer, access to the beach was restricted because of a no-trespassing order by the developer. "Try to explain to your grandkids that 'No, we can't go there.' 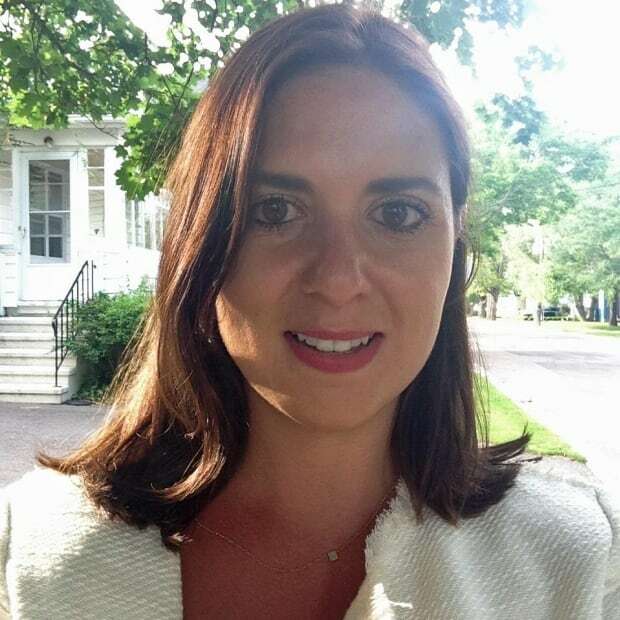 Kind of hard," said Girouard Caissie. 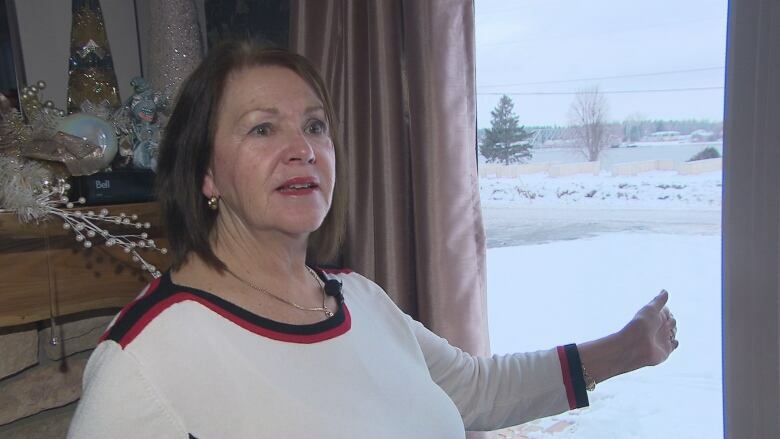 Girouard Caissie said the condo project will obstruct her view of the Shediac River and bay, and she was heartbroken the day she first saw excavators break ground on the land. "I couldn't even stay here, I had to leave the house," she said. "It was too painful." "It's going to be like a big wal. I don't even know if I'll be able to stay here. I might have to sell my house, which I'm going to lose a lot of value on." Developer Philip Couture confirmed he began work on the foundation of the building but said he would stop after that was done, until the lawsuit was resolved. He was issued a work permit on Nov. 22 by the Beaubassin East planning committee, who declined further comment. Since the dispute began brewing, about 60 residents of Indian Point have banded together and helped the Girouards come up with the money for the lawsuit. "I hope justice prevails and they stop the construction," said Girouard Caissie. "To me it's black and white. "It's like being violated — something that was yours that was taken." Last May, residents won a first court battle, after a judge refused to throw out the lawsuit at the request of the developer who tried to argue it was frivolous. Couture, the developer, has appealed that decision though, and the appeal will be heard in early 2018. Meanwhile, 13 of the 33 condo units have already been sold, at a price of $250,000 per unit, to mostly seasonal residents, according Couture. He declined further comment, saying his case is still before the courts.